Match ends, Houston Dash 0, Orlando Pride 1. Second Half ends, Houston Dash 0, Orlando Pride 1. Attempt missed. Poliana (Houston Dash) right footed shot from the centre of the box misses to the right. 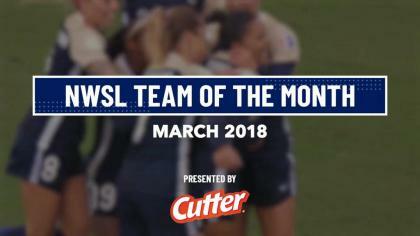 Assisted by Morgan Brian with a cross following a set piece situation. Denise O'Sullivan (Houston Dash) wins a free kick on the right wing. Maddy Evans (Orlando Pride) wins a free kick on the right wing. Attempt saved. Amber Brooks (Houston Dash) left footed shot from outside the box is saved in the centre of the goal. Substitution, Orlando Pride. Maddy Evans replaces Lianne Sanderson. Substitution, Houston Dash. Amber Brooks replaces Allysha Chapman. Offside, Orlando Pride. Lianne Sanderson tries a through ball, but Jamia Fields is caught offside. Poliana (Houston Dash) wins a free kick in the attacking half. Goal! Houston Dash 0, Orlando Pride 1. Kristen Edmonds (Orlando Pride) right footed shot from outside the box to the top left corner. Assisted by Lianne Sanderson. Attempt blocked. Samantha Witteman (Orlando Pride) right footed shot from long range on the left is blocked. Assisted by Lianne Sanderson. Denise O'Sullivan (Houston Dash) wins a free kick in the defensive half. Attempt blocked. Kristen Edmonds (Orlando Pride) right footed shot from outside the box is blocked. Attempt saved. Stephanie Ochs (Houston Dash) right footed shot from the right side of the box is saved in the bottom right corner. Assisted by Andressinha with a through ball. Substitution, Orlando Pride. Jamia Fields replaces Jasmyne Spencer. Attempt missed. Chioma Ubogagu (Houston Dash) left footed shot from outside the box is high and wide to the right. Assisted by Morgan Brian. Attempt saved. Jasmyne Spencer (Orlando Pride) right footed shot from outside the box is saved in the top right corner. Offside, Houston Dash. Andressinha tries a through ball, but Rachel Daly is caught offside. Foul by Stephanie Ochs (Houston Dash). Substitution, Houston Dash. Chioma Ubogagu replaces Kealia Ohai. Attempt saved. Monica (Orlando Pride) right footed shot from the centre of the box is saved in the bottom left corner. Assisted by Stephanie Catley. Hand ball by Kealia Ohai (Houston Dash). Attempt missed. Lianne Sanderson (Orlando Pride) right footed shot from outside the box misses to the right. Assisted by Stephanie Catley. Attempt missed. Poliana (Houston Dash) header from a difficult angle on the right misses to the left. Assisted by Andressinha. Attempt missed. Andressinha (Houston Dash) right footed shot from outside the box is high and wide to the right. Assisted by Kealia Ohai. Substitution, Houston Dash. Stephanie Ochs replaces Janine Beckie. Attempt missed. Samantha Witteman (Orlando Pride) right footed shot from the left side of the box is too high. Substitution, Orlando Pride. Samantha Witteman replaces Kaylyn Kyle. Attempt saved. Jasmyne Spencer (Orlando Pride) right footed shot from outside the box is saved in the bottom left corner. Assisted by Lianne Sanderson. Morgan Brian (Houston Dash) wins a free kick on the left wing. Offside, Houston Dash. Rachel Daly tries a through ball, but Kealia Ohai is caught offside. Second Half begins Houston Dash 0, Orlando Pride 0. First Half ends, Houston Dash 0, Orlando Pride 0. Offside, Houston Dash. Poliana tries a through ball, but Janine Beckie is caught offside. Offside, Houston Dash. Denise O'Sullivan tries a through ball, but Janine Beckie is caught offside. Offside, Houston Dash. Kealia Ohai tries a through ball, but Janine Beckie is caught offside. Corner, Houston Dash. Conceded by Josée Bélanger. Foul by Lianne Sanderson (Orlando Pride). Foul by Janine Beckie (Houston Dash). Kristen Edmonds (Orlando Pride) wins a free kick in the defensive half. Attempt saved. Rachel Daly (Houston Dash) right footed shot from the centre of the box is saved in the bottom right corner. Assisted by Denise O'Sullivan. Lianne Sanderson (Orlando Pride) wins a free kick on the right wing. Foul by Becky Edwards (Orlando Pride). Attempt blocked. Andressinha (Houston Dash) right footed shot from outside the box is blocked. Attempt missed. 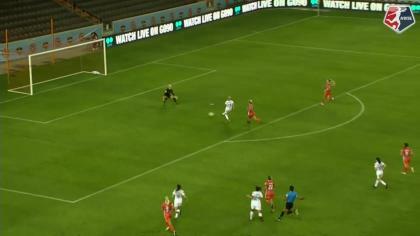 Kealia Ohai (Houston Dash) right footed shot from the right side of the box is close, but misses to the right. Assisted by Denise O'Sullivan. Attempt missed. Jasmyne Spencer (Orlando Pride) right footed shot from the centre of the box is close, but misses to the left. Assisted by Alex Morgan. Attempt blocked. Kristen Edmonds (Orlando Pride) right footed shot from outside the box is blocked. Assisted by Lianne Sanderson.